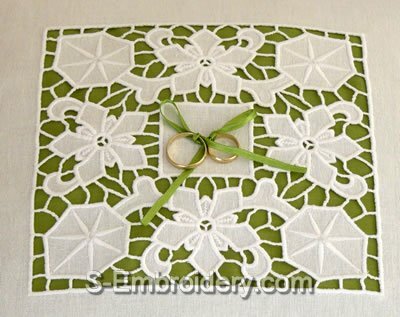 A floral cutwork lace machine embroidery design. You can use it as decoration in your embroidery projects, e.g. for creating a wedding ring bearer pillow, like the one featured on our web site. 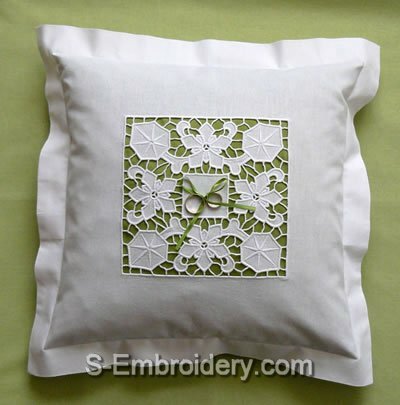 The design is offered in 2 sizes and comes with instructions for decorating the pillow in PDF format.